Pigmy miniature playing cards manufactured by Thomas De la Rue, c.1890. The deck has square corners and plain blue backs. The "Dexter indexes" are interesting in that the suit-signs in the corners bear a number in white upon them; the 2s and 3s have had their pips moved to accomodate this scheme. The corners of the Aces bear the outline of the respective suit, in which is the word ace. There is no marking of any sort on the Ace of Spades. 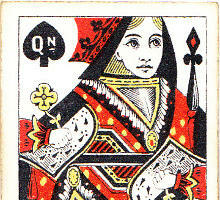 The suit signs on the courts bear the letters Kg on a King, Qn on a Queen, and a Kn (shorthand for "Knave") on a Jack. 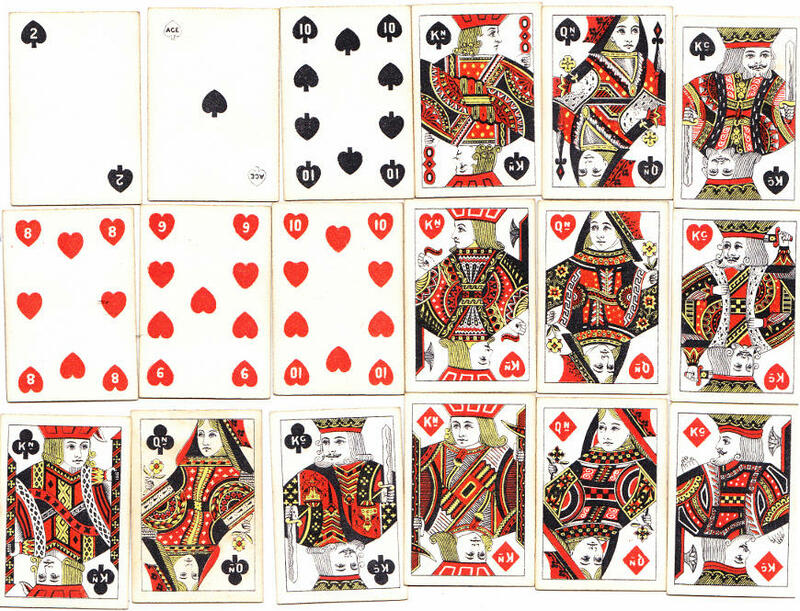 The original Dexter indices placed inside the corner pips had several variants: Kn or J for Jack; two arrangements of Aces, twos and threes; and 1 or ace on the Aces. This type of index was introduced in around 1878 and continued until c.1890. There are no jokers in this edition. The cards measure 3 x 4.5 cms. 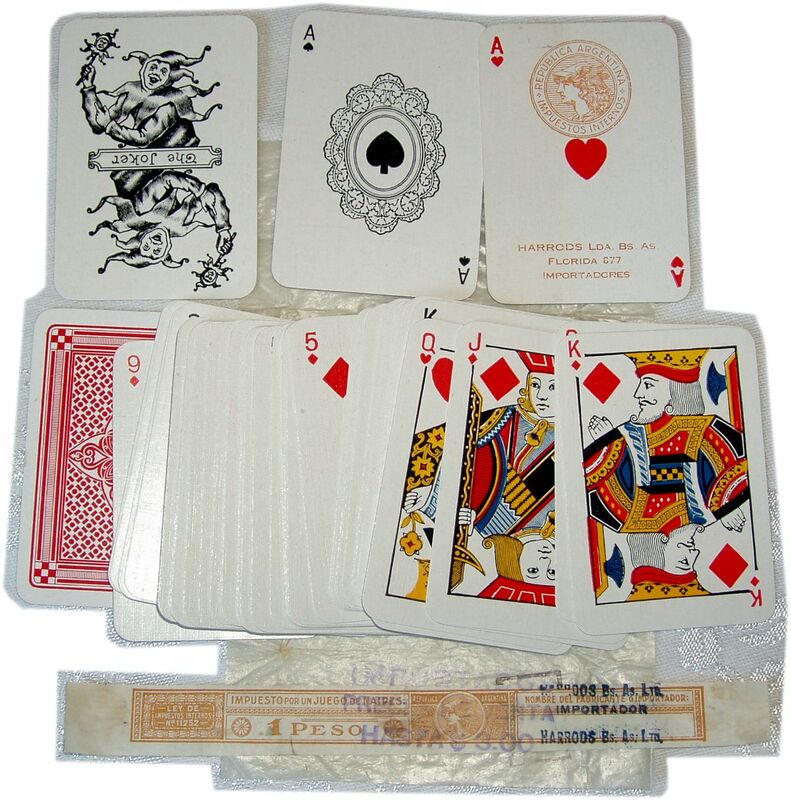 Above: 'Pigmy' miniature double-ended playing cards with 'Dexter' indices manufactured by Thomas De la Rue, c.1890. Images courtesy Anthony Lee.